London based jewellery maker Alma Sophia Geller's Scandinavian background influences the main body of her work, with minimalism and geometry reflecting aesthetically in her Square collection. She has a fascination with unveiling objects that are hidden, igniting innate curiosity of something that excites and something that cannot be seen, akin to a forbidden fruit or a Pandora's Box. Through the experimentation of shapes and forms, Alma creates a collection that are invitingly touchable, lightweight and comfortable to wear everyday whilst exploring the relationship between the jewellery and the wearer. 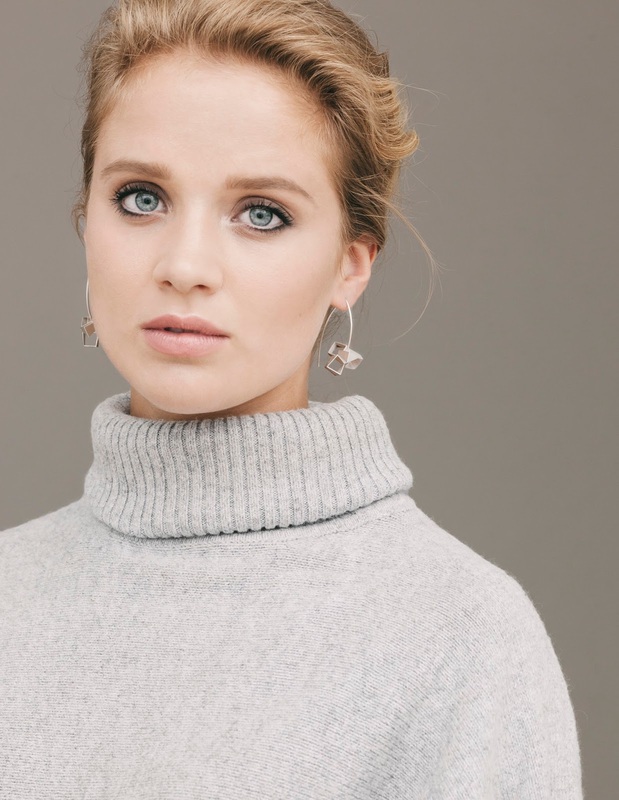 Here I speak to Alma in more depth about what inspired her to become a jewellery designer, the concept of her new collection and future aspirations. 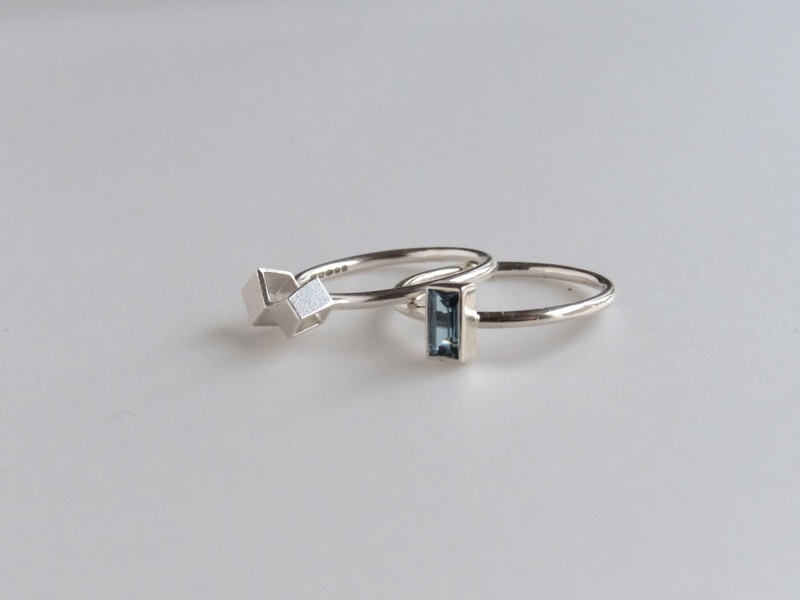 Making jewellery has always been something that I knew I wanted to do! I loved making simple jewellery as a child, knew what I liked, and easily picked my favourite beads in the store. I wrote a paper on Goldsmithing when I was 13 years old in school, where I researched the different jewellery schools in Norway and what qualities are needed as a goldsmith and jeweler. So when I finished high school I started my technical goldsmithing education in Norway. It was only when I came to the UK to do my degree that I discovered all kinds of amazing design and realized that I could be a jewellery designer/maker. Here I learned about design process and developing a collection. 2. Most designers are influenced by their travels, culture, origins and personal life and applied them to their collection. How do you gather your own research for your jewellery label? I was born in New York, grew up in Oslo and now live in London. I’ve found (and continue to find!) a lot of inspiration in these cities. I love to walk around London and take pictures; of beautiful architecture the city has to offer, of parks, and art galleries and museums are of course full of fantastic artistic inspiration too. My work organically develops in the workshop where I experiment with different shapes and form. All my pieces are hand made, not cast, so that the clean lines and crisp corners may be maintained as well as the organic nature of the handmade elements. 3. 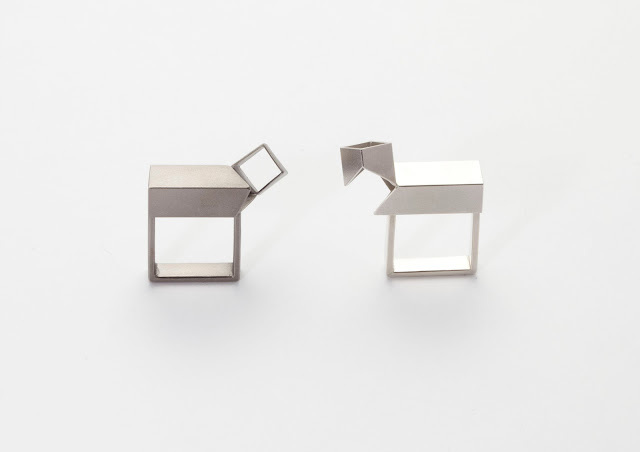 I love the geometric and minimalist aspect of your Square collection. What is the inspiration behind this? 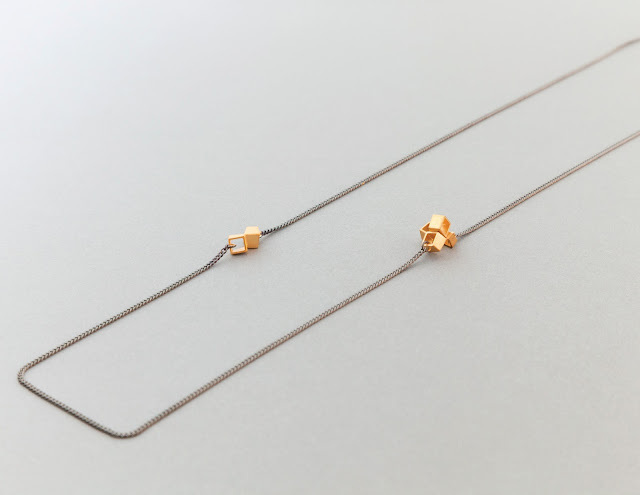 Architecture, clean lines and hidden details are my inspiration .The Square Collection is based around the fascination and surprise of cutting something open and uncovering what lies inside. I experiment with shape and form to create pieces that are inviting to touch, handle and wear. I find it fascinating to take a basic shape, like the cube, to turn it, change it and form it into a new shape. This collection is made using square tube, allowing the pieces to have volume and convey a sculptural feel whilst remaining lightweight and comfortable to wear. 4. Jewellers studio spaces are second homes for most. How would you describe your space? My workshop is on the lower level of @work jewellery gallery in London. I share the space with other jewelers. We often discuss and share different ideas, and that creates a really collaborative, dynamic and interesting working environment. It's a very nice, intimate space and so I guess it’s like a second home we all share! I wear one silver square ring and one garnet baguette ring stacked together. I like how you can combine as many rings as you want in different plating colours and stones, either all on one finger or one on each. I also like the hint of colour. I am currently making a new ring for myself to add to my stack. 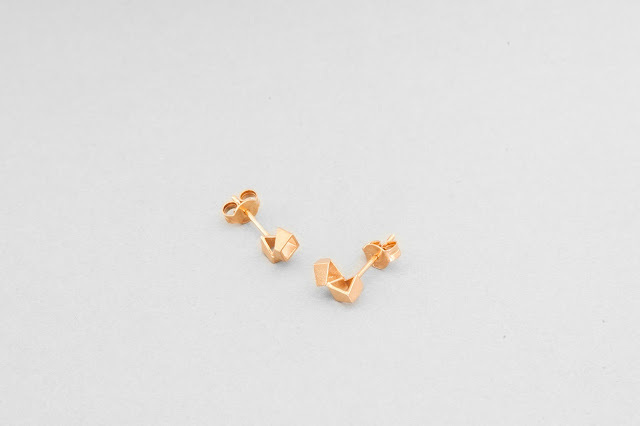 I also wear earrings and like to have my cluster studs for everyday wear. 6. 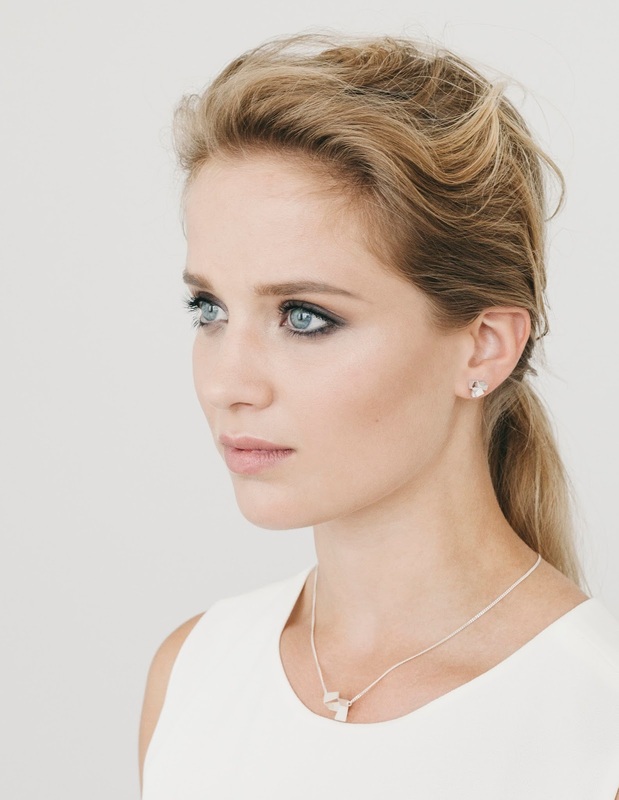 What is the jewellery industry like in Norway? How different is it from the UK? In Norway there is a more traditional Goldsmithing education where you learn all the technical skills, or you can study metal & art jewellery at Oslo National Academy of the Arts which is a more artistic degree. I think that in the UK you learn more how to be a jewellery designer/maker, and there are much more opportunities. Norway is a small country and so naturally the jewellery industry is much smaller. Here in the UK there are a lot of great opportunities for makers, from creative workspaces to exhibitions and craft fairs. Definitely Instagram. I am a visual person and have a real interest in art and photography. So for me Instagram seems like the obvious social medium platform, over the likes of Facebook or Twitter for example. I post pictures of my work, work in progress and things that inspire me. I think it´s a great platform to use like a blog, informing followers on what I am up to like upcoming exhibition and shows, or reveal new pieces in the making! My work is aimed at people of all ages that appreciate something a little different – a side step to convention, a minimal, geometric aesthetic, with interesting angles and details. People who are interested in architecture, hidden details and drawn to Scandinavian aesthetics. I love Alexander Calder. His mobiles (moving artistic structures) are fantastic, both in terms of their captivating movement and interesting shapes. He also made interesting jewellery that have a lot of volume and are also quite sculptural. 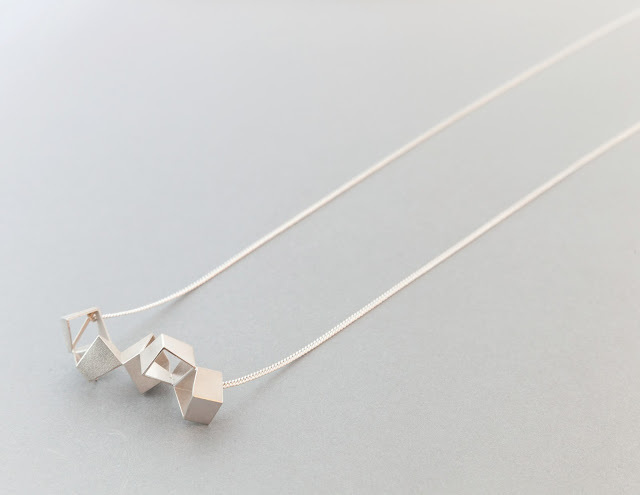 Some of the jewellery is all made of one repetitive shape, which is something I am drawn to. I would love to collaborate with a product designer or even an interior designer. What the project would be I am unsure. I just finished Hothouse, a programme run by the Crafts Council supporting newly established makers. Here I met so many great people making things from ceramic & glass to textiles and leatherwork. I would love to collaborate with all of them. One idea I have is to do a Pop-Up shop where we all would exhibit together! 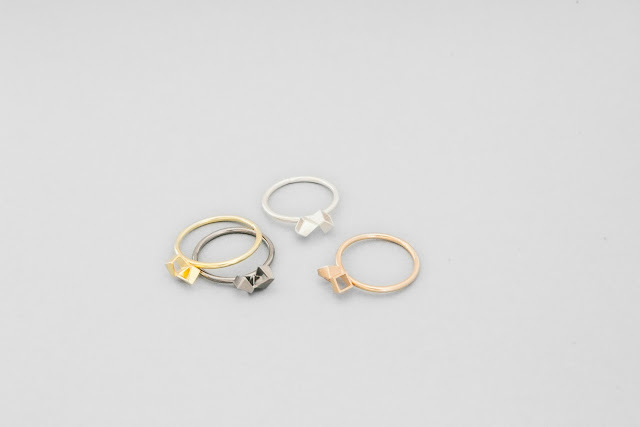 Minimalistic, architectural, sculptural, playful, handmade.